But alas, the report was true. 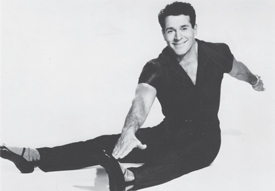 Jack LaLanne died of complications from pneumonia on Sunday, 23rd of January at his home in Morro Bay, California. He was 96. Jack was unique in more ways than can be counted. Unlike most who lifted weights, he sought endurance and not topend strength and he took it to the extreme. There wasn’t another athlete in the world who could stay with him when it came to endurance. He was known for his feats. They were highly publicized to prove that exercise and eating healthy would enable anyone to become and stay physically fit throughout life. When he turned 43 in 1957, he performed more than 1000 push-ups in 23 minutes on the “You Asked For It,” television show. That same year, he towed a cabin cruiser weighing 2000 lbs, through the icy waters between Fisherman’s Wharf and Alcatraz Island. For his 60th birthday he once again used San Francisco Bay as his backdrop and upped the ante a couple of notches. The same 2000 lb. boat was pulled, but this time he was handcuffed and shackled. On his 65th birthday, he tied together 65 boats, each loaded with 65 lbs. of wood, and towed them through those same treacherous, shark-infested waters. To celebrate turning 70, with similar restraints he towed 70 boats with 70 people on board in Long Beach Harbor. All these stunts were to prove that if you lived a healthy lifestyle, anything was possible. Naturally, I knew about his superhuman tests of endurance but it wasn’t until I went through a training session with him that I truly understood how amazing he was. 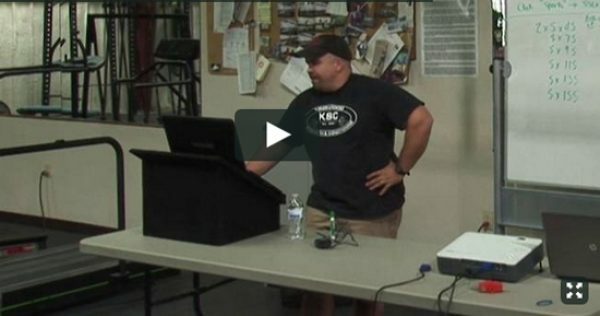 He had designed a piece of equipment to be used in a home gym. I was hired to market them in the L.A. area for his company. Jack invited me to his house in Hollywood so he could show me how to use the apparatus. It was a set of two pulleys mounted on boards that could be attached to a wall. It took up very little space and a wide variety of exercises could be done on it, if the person knew what he was doing. Jack, of course, knew what he was doing and he was about to teach me. The pulleys could be moved from head-high to six inches off the floor, allowing the person to workout in a very small space and to hit all the muscles of the body. After a short visit with Elaine, we went to his exercise room and warmed up. At that time, I had just retired from Olympic lifting, but was still training hard to maintain my overall strength and fitness levels. I could still bench 400 and squat that same amount of weight for 10 reps. I was also running on the sandy beaches of Venice and Santa Monica and since I was 24 years younger than Jack and thirty pounds heavier, I thought I was in good enough shape to stay with him. Boy, was I wrong. The first exercise he demonstrated was for the upper arms. A super-set of curls and triceps pushdowns. He set the weight stacks at 40 lbs. for the curls, and when I completed those he reset them for 100 lbs. for the pushdowns. No problem, I was handling more than that at the Muscle Beach Gym in Santa Monica. But what I didn’t count on was that there was to be no rest period whatsoever. Fifteen curls followed immediately by fifteen pushdowns, followed by fifteen more curls and pushdowns and so on. I managed to squeeze out five sets before my arms and shoulders locked up, I was toast and breathing like an asthmatic rhino. When I had told some of my training mates at the gym that I was going to go through a session with Jack, they all told me the same thing: he dearly loved to bust weightlifters’ chops, so I had better be ready. And bust mine he did. His turn. While I changed the weight stacks, he breezed through fifteen sets of fifteen reps without breaking a sweat or even breathing harder than when he started. And to add insult to injury, he increased the resistance to 60 and 120 lbs. on the final five sets. I was duly impressed and didn’t mind in the least that he had bested me. It was like getting knocked out by Muhammad Ali or pinned by Dan Gable – an honor, and I came away with a story that I could tell as long as I lived. His concept of training for endurance rather than peak strength stuck with me, and when I finally came to the point in my life when I knew lifting heavy weights was doing more harm than good, I switched my routine to the type that Jack advocated. The marketing of the piece of equipment didn’t pan out, primarily because the marketing director of the company insisted that I sell it to members of Jack’s health clubs. I knew this was not the right approach. I argued that it would be smarter to advertise it on Jack’s TV show for people who wanted to train at home. Members of the health club weren’t going to be interested in buying something for home training. They were already shelling out dough for the gym memberships. But that single session with Jack gave me a whole new perspective about how to train for stamina. I had trained with some of the strongest bodybuilders in the history of the sport: John Grimek, Steve Stanko, Vern Weaver, Val Vasilef, Bill St, John, Chet Yorton, and had watched Arnold and Franco go through their routines, and none could hold a candle to Jack when it came to endurance. Like so many others who have ended up making their marks in the field of physical culture, he started from scratch. Way below scratch for that matter. Born Francois Henri LaLanne in San Francisco in 1914 to poor French immigrants, he became a troubled, sickly child with acne, headaches, and an uncontrollable temper. He was chronically underweight, weak, and by the time he was fifteen, a “sugarholic.” The latter was mostly due to his mother rubbing her child’s teeth with a blend of cornstarch and sugar to keep him happy. He began formulating a diet built around wholesome foods with lots of fruits and vegetables, and he also began weight training. Just 5’6? in height and still puny, he began training at the Berkeley YMCA. It started paying off, and he eventually became the captain of the football team. After graduating from high school, he built a makeshift gym in the backyard of his home on Spalding Street in Berkeley for his own use and also for would-be police and firefighters who were having trouble passing their physical fitness tests. That’s when he legally changed his name from Francois Henri to Jack. In 1936, at the age of twenty-two, he opened what many call the nation’s first health spa on 15th Street and Broadway in downtown Oakland. He called it Jack LaLanne’s Physical Culture Studio. He moved the studio to 17th Street a few years later. 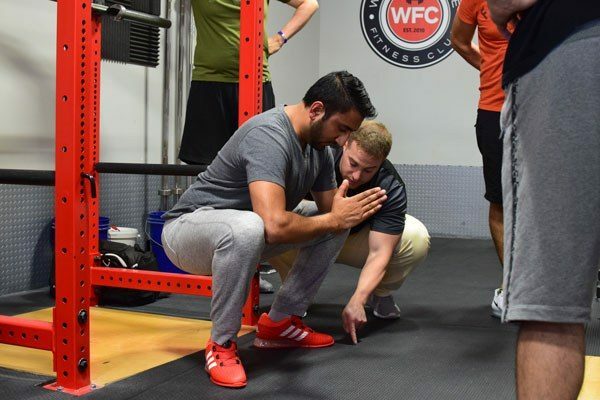 The programs he taught at the studio reflected his holistic approach to fitness and went against just about every accepted notion of health at that time. 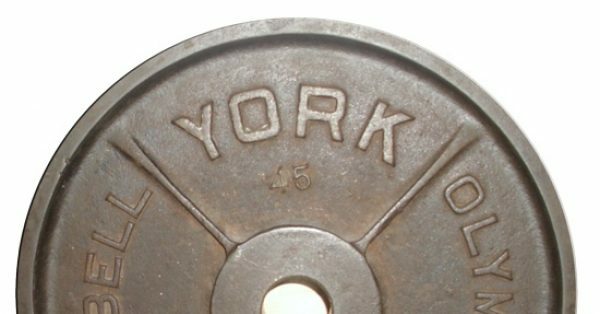 He promoted weight training for athletes, going against the prevalent theory that lifting weights made an athlete slow and “muscle bound.” He said that many of the athletes who came to his studio had to sneak in and out so they wouldn’t be seen there. Coaches who caught a member of their team lifting weights threw him off the team. 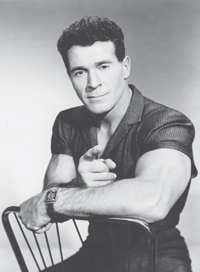 Jack's next big step in educating the public about good health and nutrition came about when he began televising workouts on "The Jack LaLanne Show." KGO-TV in San Francisco aired it for the first time in 1951 before ABC picked it up for national syndication. He also filmed many live segments at the KTVU studio in Oakland. 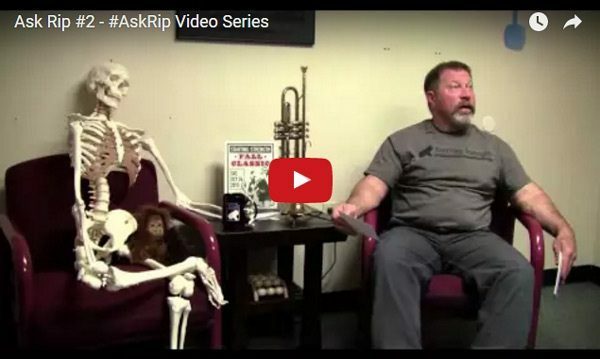 What most people do not realize is that Jack was the sole sponsor of the show. He paid for airtime by selling his own products. That way he didn't have to answer to any outside sponsor who might object to some of the advice he gave during the telecasts. His shows were aimed directly at the common man – and the common housewife, because it was the female audience that really embraced him. His programs were simple and required nothing more than a chair and a towel. Dressed in ballet slippers and his trademark V-neck jumpsuit with sleeves just long enough to highlight his bulging biceps and with his dog Happy at his side, he would tell the kids who were watching to go get their mothers to come and exercise in front of the TV. 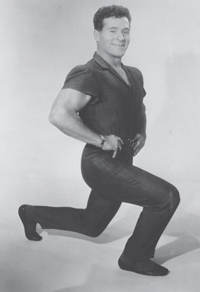 The show went nationwide in 1959 and lasted another 26 years, making him a household name and the undisputed guru of fitness in America. It was in the beginning of his television career that Jack met Elaine. She was working as a co-host for “The Les Malloy Show” at KGO-TV. Jack appeared as a guest on the show and did push-ups for the entire hour-and-a-half broadcast. She admits that she was in poor physical shape, smoking cigarettes and eating bear claws for breakfast. He began to flirt with her, extolling the virtues of healthy eating and exercise. She began exercising at the class he taught and they were soon an item, dining and dancing in San Francisco. She was the ideal partner for Jack. She often appeared on his TV show, and together they wrote fifteen books about fitness and nutrition. They lectured all over the world, promoting their books and inspiring people of all ages to live healthier. They had three children: Yvonne, Dan and Jon. 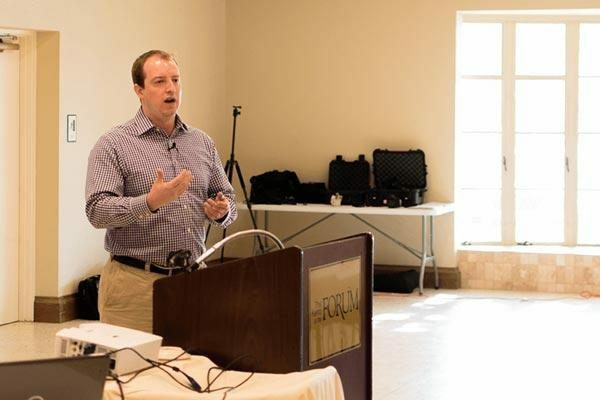 He also designed fitness equipment emulated by today’s multibillion-dollar fitness industry. Yet he could get anyone fit with nothing more than a towel and chair. His model for setting up a chain of health clubs was quickly copied by others in the field. 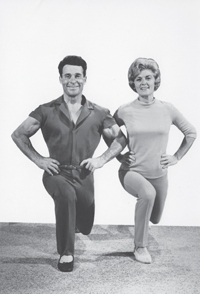 But the Jack LaLanne Health Clubs were primarily sources of revenue. They really didn’t convey his philosophy of fitness nearly as much as his books and TV shows. Money was a necessity, but never his prime motivation. Health and fitness were first and foremost. I had worked for Bob Hoffman and the Weider brothers, Joe and Ben, and any discussion that took place with them was always about money. Jack was totally different in that regard. Whenever he came to the corporate offices in Burbank, he always came by my office for a visit. His greeting was, “Bill, how’s your training going?” He never mentioned how sales for a piece of exercise equipment were doing. He was more concerned with my fitness program as well as those of the bodybuilders and weightlifters I trained with at Muscle Beach. He was constantly seeking more information about staying in shape. Money was way down on his list of priorities and I greatly admired him for that because it was so rare, especially in the cutthroat fitness business. 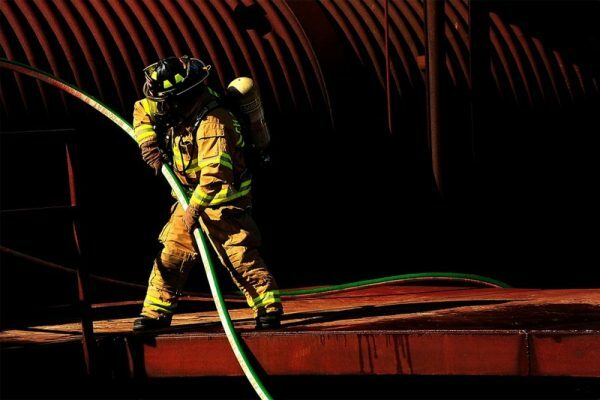 If he had to choose between taking a workout or doing something to make a buck, he would choose training without blinking an eye. Like Thomas Jefferson, Jack believed in setting aside two hours a day for exercise. He frequently trained longer than this, but never less. And he always combined weight training with swimming, a practice that very few adhered to. It was typically one or the other, but Jack believed in the value of the two opposing forms of exercise. Both built strength, but in different ways. Even as an nonagenarian he still put in two long sessions in his home gym each day followed by half an hour in the pool. Jack didn’t suggest that everyone should follow his exhausting training schedule, but he did insist that everyone should train. “People should exercise a half hour, three times a week,” he said. “And when you work out, don’t take any rest.” That was his key to building endurance into a program. One of the products he sold on his early TV show was the Jack LaLanne Power Juicer. His juicer regimen has survived seven decades from the time he used a press type for ground-up fruits and vegetables to the current version with a high-output induction motor. Just last week, I watched Jack and Elaine demonstrate the benefits and many uses of the juicer, and he was still just as vibrant and enthusiastic as when I last saw him. He only ate twice a day, at 10 a.m. and 7 p.m. and his diet always revolved around protein, fish and egg whites, fresh fruits, and vegetables often processed through his juicer. And a glass, or two, of wine with dinner. No coffee, tea, sugar, or white-flour products. In 2009, Jack had a heart-valve replacement, but it didn’t slow him down at all. He had his training and his infomercials for his juicer to keep him busy. He was still active until Friday, January 21st when he was hospitalized for pneumonia. His family brought him home on Sunday afternoon and he passed away at 4:30 p.m. How’s that for going out with a song? I believe the gods responsible for such things were rewarding him for a life well spent. His daughter Yvonne LaLanne summed it up perfectly. “The blessing of it all is that he had a brief illness and we were all there. He just let go. He faced it all with great courage and philosophy. He practiced what he preached.” Amen to that. Jack was many things: businessman, pitchman, showman, superb athlete, an author and a motivator. But most of all, he was a teacher who loved fitness. It was more to him that a mere pastime. It was his religion. What Jack gave us was hope. Not just for longevity but even more to strive for a higher quality of life. Jack, you will be missed but never forgotten. You were definitely one of a kind.